Now that the Baberoo is over her two-week cold (it was her first one, and it was a doozy! ), we’ve resumed our usual schedule of going out, having fun, and generally swanning around town. Our first stop today was Las Iguanas (40-41 Park End Street, OX1 1JD) for a Latin-inspired lunch. The Baberoo ate rice cakes from home (while sitting in a restaurant high chair for the very first time! I don’t know why I waited so long to try her in one; it worked great!) and I ordered the Gringas, a bean and cheese quesadilla with smoked chicken topping (£5.50). It was spicy and cheesy, and paired well with my Apple Mojo-less (£3.10), a sweet and refreshing version of a mojito. Those of you who have read my reviews so far know that I’m an aficionado of the virgin mojito, so I order it everywhere I can. 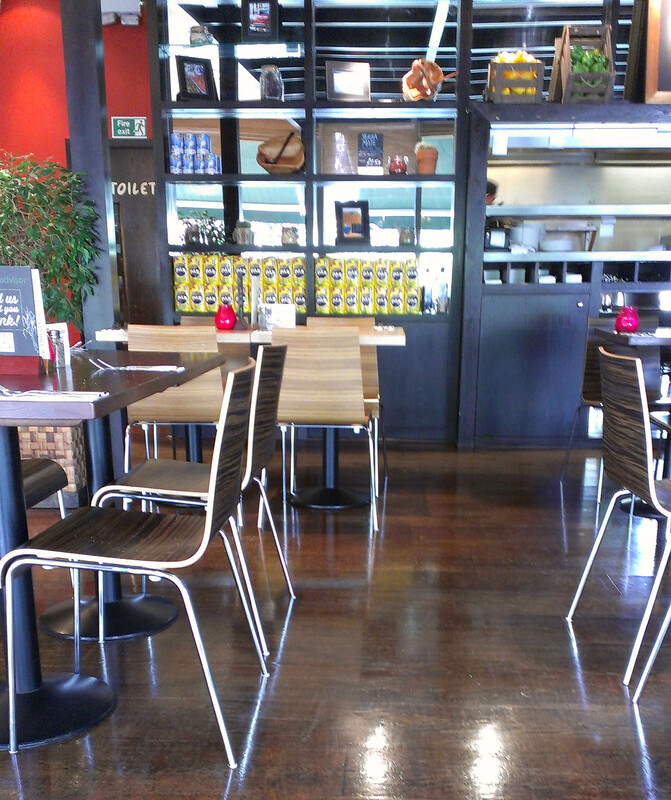 The one at Las Iguanas is quite sweet compared to others, but I like it that way. It was a very satisfying lunch. But I didn’t stop there, because I saw the Creamy Caramel Cake (£5) on the menu. Even more than I love a mojito I love a Tres Leches cake, so I ordered it. Reader, I gobbled it down so fast that I forgot to take a picture! Many apologies. It was a lovely and delicious cake, steeped in creamy, milky sauce, and it didn’t go overboard on sweetness, which this type of cake sometimes does. I think it was gone in 20 seconds. Menu: A lot of Latin American food is somewhat messy to eat and requires both hands (enchiladas and burritos, for example), but there are several things on the lunch menu that can be eaten one-handed if you’re holding a baby. Salads and starters are good choices, but the meatballs and chilli would also work. Now that the Baberoo is big enough and less fussy than she was when she was an infant, I’ll be seating her in a high chair so I have both hands free – but for those with younger babies or those who need a parent’s comforting arms, there’s enough here for you to be able to order something. Space: Las Iguanas is a large restaurant with many sections, including an outdoor terrace overlooking Castle Mill Stream. We arrived just after it opened so there was plenty of space between tables to manoeuvre the baby carriage; when it’s fuller I think it would still have enough space to manage getting through without any problems. However, I think that at lunchtimes there’s generally a lot of space available; it’s much more crowded on evenings and weekends. I’ve been here before on a weekday with my NCT friends and we sat four strollers around an area with sofas and had plenty of room to ourselves. 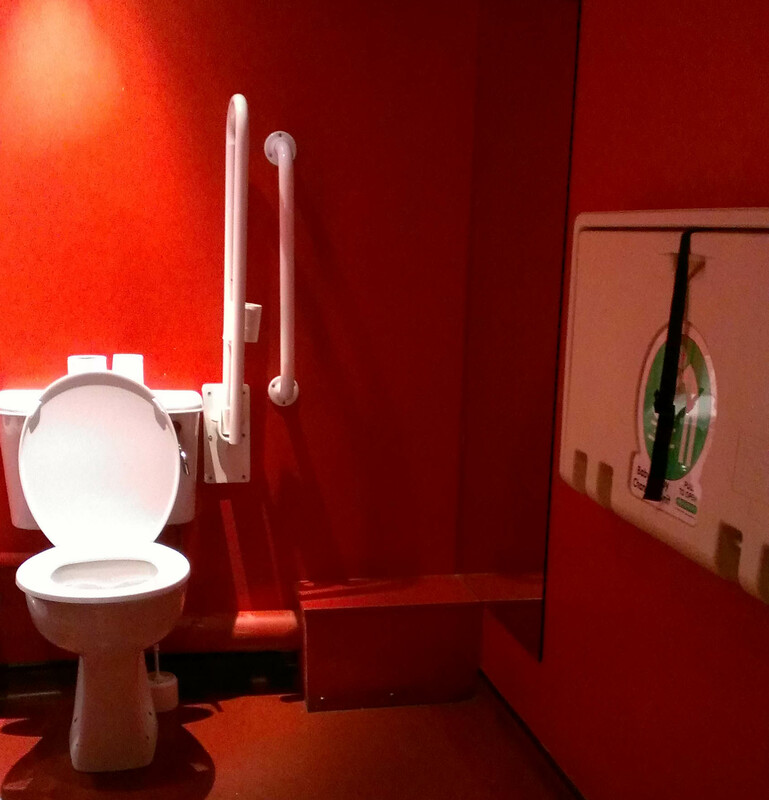 Facilities: The baby-changing facilities at Las Iguanas are clean and tidy, and the bright red walls make for a change from the usual dull white bathroom. The lighting is too dim, though, and makes it difficult to see what you’re doing. There’s a pull-down changing table, but no counter to put your bag on. The room is narrow, so although there’s a lot of space it might be tricky to manoeuvre a bigger pram. Feeding: I didn’t breastfeed the Baberoo this time but I have in the past and it was fine. There are many types of seating to choose from: regular chairs, higher stools, bench seating, and sofas, so if you’re breastfeeding you can take your pick of what would be most comfortable for you. All in all, Las Iguanas scores an 8.0 out of 10 for baby-friendliness. 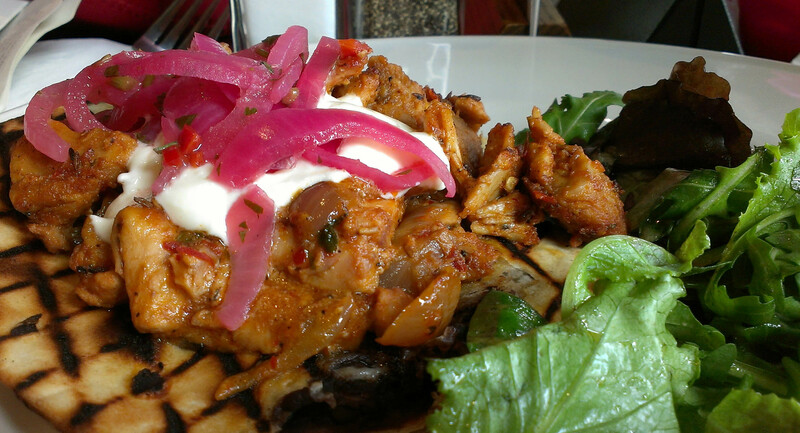 It’s a good choice for an inexpensive weekday lunch with Latin American flavour, and you’ll have plenty of room for your stroller.